The Ameo debuted in the sub-four-metre car sedan segment in 2016. It was exclusively tailored to fit in the Indian market for the customers to reap tax benefits, however, a report states that the Volkswagen Ameo would probably be discontinued by the first quarter of 2020. "We will not do any products like the Ameo. The Sub-four metre sedan is a very, very tricky product. It works only when the hatch that it's based on, is significantly below four metres (in length), otherwise, the aesthetics of the car won't work," said Gurpratap Boparai, head of Volkswagen Group India. "Nobody makes a global car to fit a length," he further added. The Ameo rivals the Ford Aspire which managed a sales number of 1,539 units last month. Whereas the Hyundai sold 2,121 units of the Xcent, and Honda sold 7,981 units of the Amaze in the month of January 2019. The segment is lead by the Maruti Suzuki Dzire which sold 19,073 units. In contrast, Volkswagen sold only 735 units of the Ameo which is only 3.85 per cent of the sales number of the segment leader. 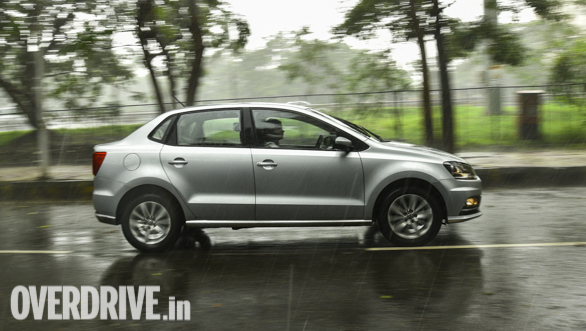 The Volkswagen Ameo is likely to be discontinued because of a poor sales number and low demand. This move seems to be part of the Volkswagen India 2.0 strategy which will be lead by Skoda. The 'India 2.0' is an initiative to locally produce cars at the company's Chakan plant, which could result in lowered prices.